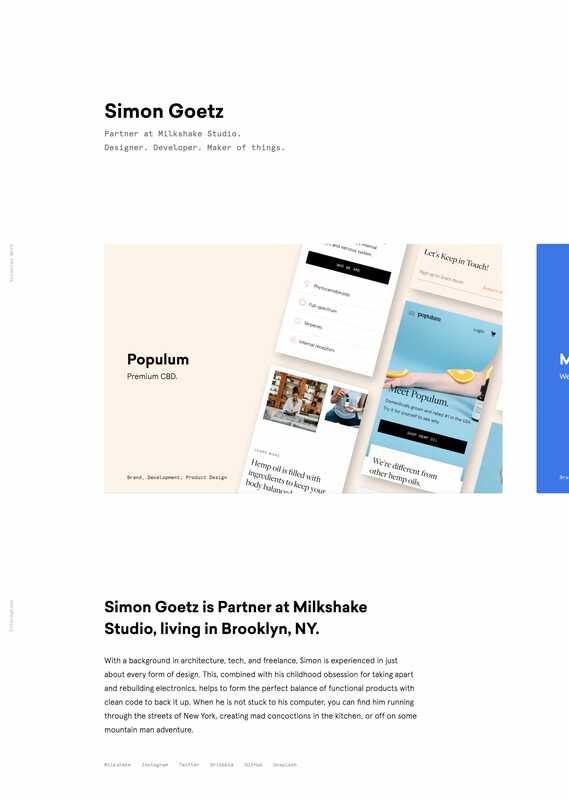 Make sure you check out the unique scroll path of projects in this minimal One Page portfolio for product designer, Simon Goetz. With a background in architecture, tech, and freelance, Simon is experienced in just about every form of design. This, combined with his childhood obsession for taking apart and rebuilding electronics, helps to form the perfect balance of functional products with clean code to back it up.